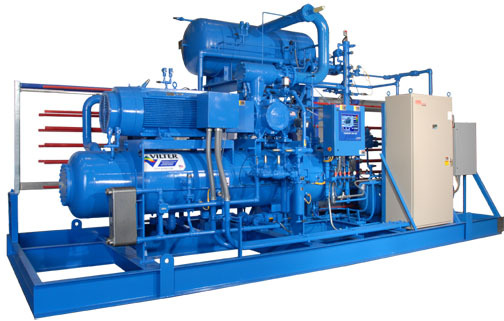 Air compressor is a kind of equipment that uses a motor to compress air in the compressing chamber and brings the compressed air to a certain pressure. As a basic industrial equipment, the air compressor has been widely used in almost all industrial fields such as metallurgy, machine manufacturing, mine, electric power, textile, petrochemical, light textile, etc. The electric energy consumption of air compressors accounts for 15% of all large scale industrial equipments (fan, pump, boiler, air compressor, etc.). Most air compressors have obvious inherent technical weaknesses due to their structure and principle. When the output pressure exceeds a certain value, it automatically opens the relief valve and idles the asynchronous motor. This seriously wastes energy. Moreover, the asynchronous motor tends to start and stop frequently. This affects the service life of the motor. The compressor has high starting current in power frequency mode. This has a high impact on the power grid and causes serious wear of the motor shaft and high maintenance of equipment. The working conditions are harsh and the noise level is high. The automation level is low. The adjustment of output pressure is realized by manually regulating the valve opening. This has the disadvantages of low regulation speed, large fluctuation, low stability and low accuracy. The electric system is consist of variable frequency drive, pressure sensor and other peripheral devices. (7) Excellent soft start, soft stop features. The start & stop time of the ac drive inverter can be adjusted randomly (0~10min), means that acceleration when start & deceleration when stop can be adjusted randomly, meanwhile, you can match with S curve ACC/DEC time to start smoothly, which can minimum the impact of air compressor caused by start & stop, this can hardly achieved by other drive devices.